A little bowl of creamy yumminess with a big nutrient boost! Combine the oats, milk, banana, nuts and syrup in a pan on the hob. Bring to the boil, stirring often, then turn down the heat and simmer until it’s the right consistency for you. We like our oatmeal quite runny, but feel free to add some more milk or water if you like yours even runnier. 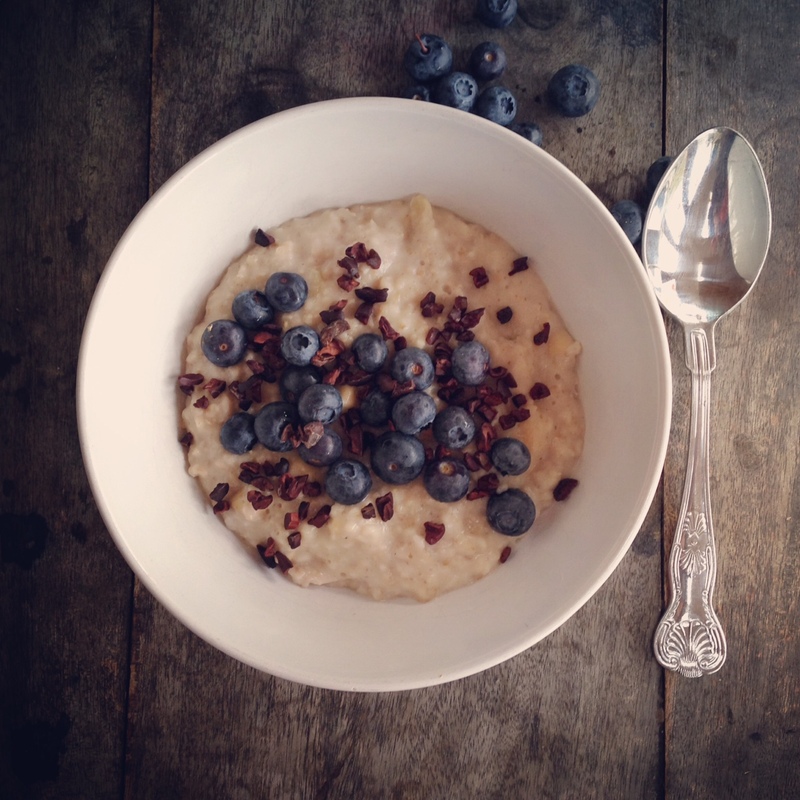 Pour into a bowl and top with the fresh blueberries and cacao nibs. Drizzle with raw honey for extra sweetness. I’m slightly obsessed with oats, I will be trying this soon!